You Are Here Photocopiers What is the Best Photocopier for my business? 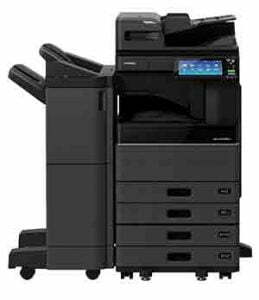 What is the Best Photocopier for my business? The range of photocopiers in today’s marketplace is huge, and it can be quite daunting when faced with hundreds of types of photocopiers and different photocopier brands. But, when you think about your businesses specific needs, you will find that there are a few devices that are exactly the right fit for your business, and the chances are, these devices will be the same ones used by everyone in your industry. We’ve compiled a list of what we believe are the best photocopiers for each industry. 1. What is the best photocopier for Small businesses (1-3 employees)? If your business is small and you have less than 3 employees, then the chances are you will have limited floor space and don’t print huge amounts of documents. If this is true, then the best photocopier for your business would be a desktop photocopier. 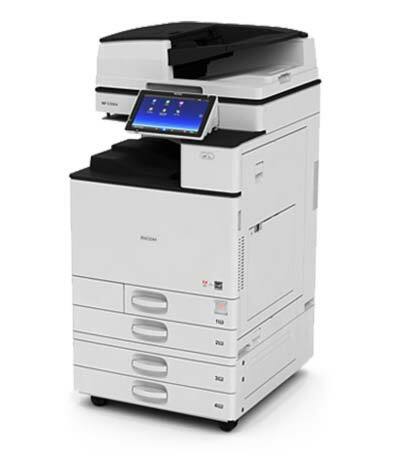 Desktop photocopiers are A4 devices, but are able to print, copy, scan and even fax, making them the obvious choice for companies that need a device to meet their needs, without taking up too much space. 2. What is the best photocopier for Start-Up SMEs (2-5 employees)? Start-up business are fast growing, so while they may fit into the ‘small business’ category, chances are they will have gained enough staff within a short period of time to require more than just a desktop device. This is where small A4 office photocopiers come in. These devices are probably around 25ppm and will have one or two paper trays. 3.What is the best photocopier for Established SMEs (5+ employees)? Once your business has grown past 5 employees, it is probably time to get a faster, higher capacity device. An A3 photocopier is much more versatile than an A4 device, allowing users to print spreadsheets or posters. For this environment, the best photocopier would be a 30-40 page per minute photocopier. It would also be good to think about what finishing equipment might help make your business be more efficient – the addition of a booklet printer, hole punching and stapling will speed up office process massively. 4. What is the best photocopier for Churches? Churches tend to need to print service booklets, hymn books and parish magazines. 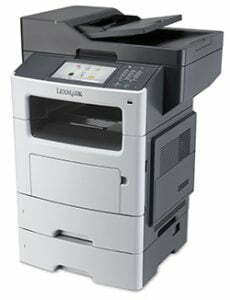 The best photocopiers for churches would be A3 devices with a booklet finisher, meaning church office managers can print all the parish printing requirements on one device. Our church-specific print solutions deliver cost savings by replacing expensive and old fashioned equipment with new. 5. What is the best photocopier for Primary schools? The best photocopiers for primary schools are A4 floor-standing office photocopiers and several satellite desktop photocopiers to support classroom-based staff. 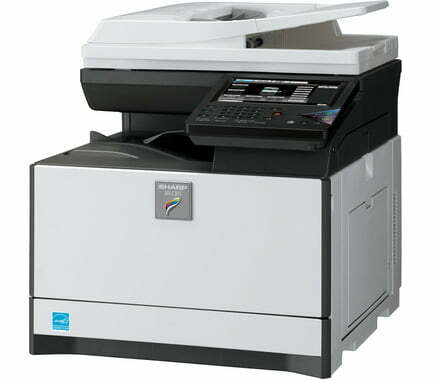 The A4 office photocopiers are ideal for printing classroom hand-outs, as the cost per copy tends to be far cheaper on larger devices than small desktop devices. However, for convenience desktop photocopiers can be placed in strategic areas to offer fast, on-demand printing. Secondary schools tend to have greater print needs than primary schools. This is mainly due to the fact that there are far more students and staff, who all have printing needs. We would recommend A3 photocopiers in environments such as the IT department, the library or resource centre and in the school office. Individual classrooms would benefit from small desktop A4 printers or photocopiers, which can provide relief to classroom staff who need to be able to print on demand. Reprographics departments or print rooms would most likely benefit from a large light production printer, which are designed to print large jobs at fast speeds. Print Management Software would further enhance the photocopiers in a school, allowing users to print their jobs and collect it from the nearest device, or the most cost-effective device depending on the type of job. St Cyres Comprehensive School in Penarth has benefited from PaperCut Print Management software. 7. What is the best photocopier for Legal firms? A major concern for the legal sector is data and document security. Fortunately, almost all devices today can be secured with encrypted hard-drives, ensuring that data is locked down. Legal firms may also require numerous finishing options including: sorting, hole punching and stapling to ensure that bundles are neat and ready for court. The best photocopiers for the legal sector will feature print management software such as PaperCut. Watch our case-study video to see how Gorvins Solicitors benefit from PaperCut software, which not only ensures their data is secure, but saves the firm £10,000! 7. What is the best photocopier for Political Parties? RISO devices have proved incredibly popular with local political parties and government agencies. 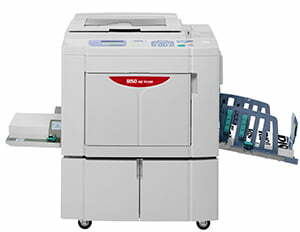 These photocopiers are high-speed, digital printing systems designed for high-volume printing. With speeds of up-to 150pages per minute and the ability to mail merge, RISO Duplicators are the best photocopiers for political parties, particularly during campaigns. 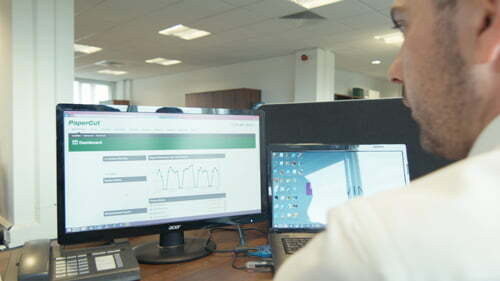 Midshire supplies over 250 local party offices throughout the UK. Not only this, but these devices are officially the fastest of its kind in the world! This is just a rough guide, and we would always recommend that you speak to our experienced account managers to discuss your specific requirements, to ensure that you get the best photocopier for your business needs.